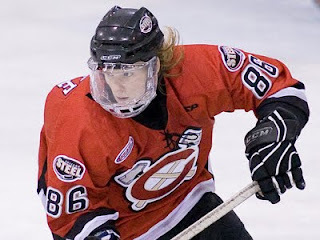 The Chicago Steel announced this week that forward Greg Wolfe has committed to Western Michigan University and will attend the school beginning in the fall of 2010. The 19-year-old native of Canton ranks third on the Steel in scoring with 30 points (15g, 15a) through 36 games this season. Wolfe was named team captain for 2009-10 and is second in goals (15) while leading the club with a plus-six rating. He began this season scoring a goal in each of Chicago's first four games. Wolfe is playing in his second USHL season after recording 27 points (21g, 6a) in 41 games during the 2008-09 campaign. Wolfe will be joined by Steel teammate Nick Pisellini at Western Michigan. Three other current USHL players are also committed to attend the school following their USHL careers: Dennis Brown (Omaha Lancers), Dan Dekeyser (Algonac/Sioux City Musketeers) and David Donnellan (Youngstown Phantoms).